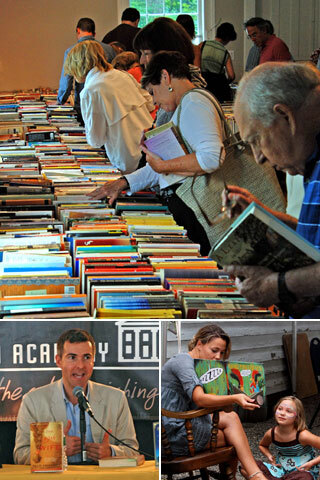 The eigth annual Festival of Books is a celebration of books and reading for the whole community.The 2013 Festival of Books takes place August 31st- September 2. The Festival features panel discussions, readings, and book signings by nationally known and local authors, children’s events – including a visit from favorite storybook characters, the Cookbook Cafe, and more. Best of all, all programs have free admission. Accepting gently used books in good condition ( no mildew please!) at the Academy beginning July 11th – August 18th, 1-4PM Thursday – Sunday.